Heat oil in kadai, add mustard seeds, fenugreek seeds, cumin seeds, onion seeds, fennel seeds. Add hing, curry leaves, tomato and mix well. add ginger paste, garlic paste and saute till tomato become soft. Add salt, red chilli powder, garam masala, turmeric powder and mix well. Add Boiled dal and mix wel . cook for 3 to 4 minutes. add lemon juice and mix well. 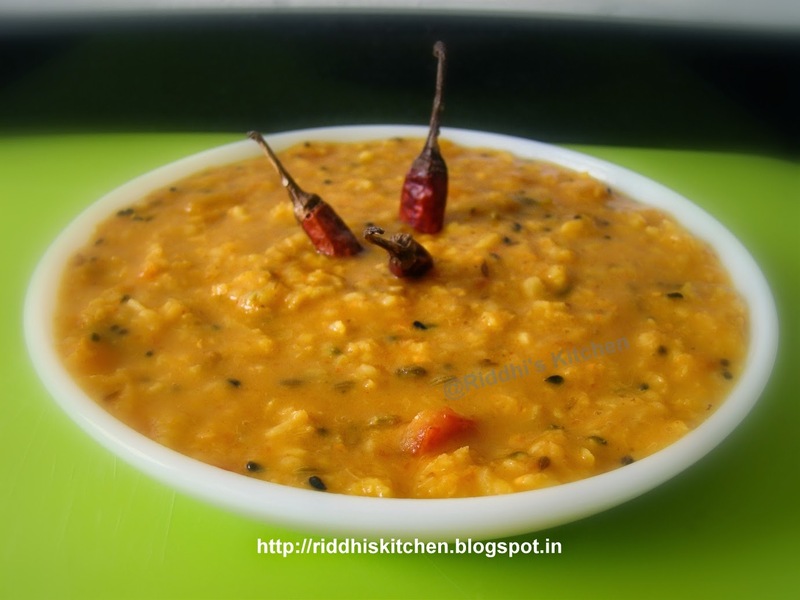 Serve hot with rice or roti or rice.